The opening lines of Escape plant themselves in our minds; “Tired of the everyday grind? Ever dream of a life of romantic adventure? Want to get away from it all? We offer you… Escape!” The magic of the opening is more than the words themselves, it is the way they are delivered. The wonder of radio drama is the pictures that the actors and producers are able to paint in our minds. Every so often a performer finds that extra touch that brings the ordinary to the extraordinary. One opening that builds the anticipation was Fred Foy’s for The Lone Ranger, which builds to a climax of “Hi Ho Silllver!” The extended L in Silver was a touch that Foy added, but it told the audience that it was time to breath again- the story was about to start. Escape’s intro was effective for creating the mood that producer Norman MacDonnell was after, but it was unique because it was performed on a regular basis by two different actors, both incredibly talented, versatile, and prolific. William Conrad and Paul Frees worked together on many projects, often interchangeably, as they were on Escape, as well as Suspense. The two distinctive baritones had an arrangement where one would perform in an episode while the other would take over the announcing duties. The arrangement worked very well through the seven year run of Escape, and allowed for continuity when one or the other of the actors were involved in other projects. Frees revealed in an interview that the pair had agreed to try and sound like one another for the announcing duties. In fact, listeners are often hard pressed to tell which actor is performing on the show until the credits are read at the end of the broadcast. Conrad will forever be associated with the role he created for radio’s Gunsmoke as the hard but compassionate Marshal Matt Dillon. 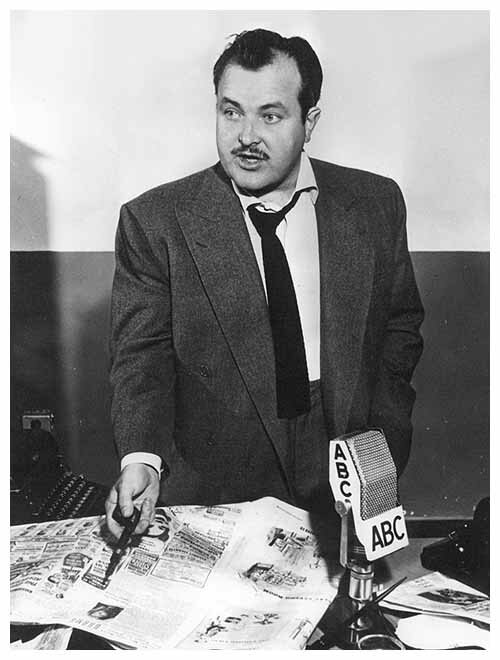 His deep voice and potentially menacing demeanor made him a natural to play the “heavy” in film noir pictures, in contrast to radio where he worked both sides of the law. Although CBS wasn’t interested in taking Conrad to the small screen as Matt Dillon, he would later star in three different TV detective series; Cannon, Nero Wolfe, and Jake and the Fatman. 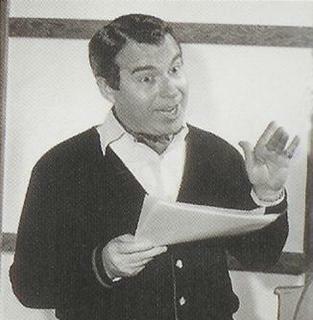 Paul Frees seems to have been happier to let his voice do the performing. He was posthumously recognized as a “Disney Legend” in 2006 for his narration and character work in Disney TV shows and film, as well as adding his voice to several of the Animatronic attractions at the Disney amusement parks. He is also remembered for the many characters he created for nine of the major Hollywood animation studios. Although rarely seem, he was heard several times every evening on television ads ranging from the Joly Green Giant’s companion, the Little Green Sprout, the Poppin’ Fresh Doughboy, Toucan Sam, and narrating everything from shaving cream to tire ads. This entry was posted in Fred Foy, Gunsmoke, Paul Frees, William Conrad. Bookmark the permalink. anyone remember the tv series CANNON, jake and the fat man nero wollfe? 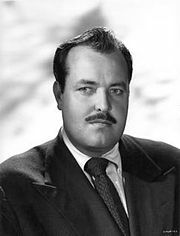 all william conrad. also, on radio, voice of matt dillon gunsmoke ,and a whole load of characters on radio, long and illustious career…. and the narrator on Rocky and Bullwinkle. 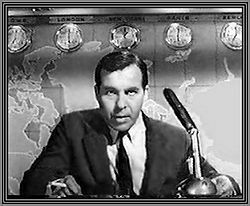 With Paul Frees doing voice-over cartoon work also.